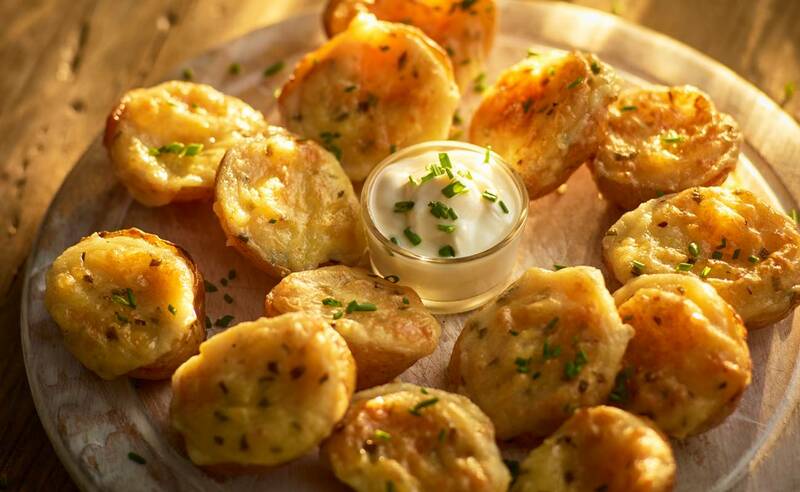 A mini version of our potato skins, these bite-sized spuds are filled with British cheddar and garden chives. They’re great as part of a sharing platter with lots of dips, or as a starter or side for the kids. 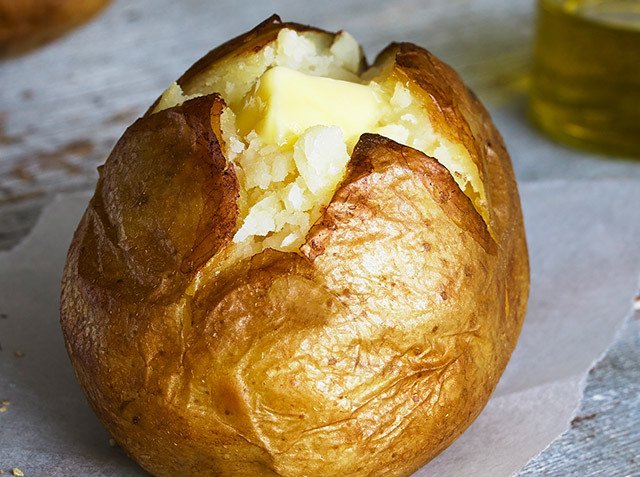 British Potato (71%), Water, British Cheddar Cheese (Milk) (9%), British Monterey Jack Cheese (Milk) (6%), Sunflower Oil, Chives (1%), Salt, Mustard Powder, White Pepper. If you'd like to stock our potatoes, find out about distributors in your area, or just to learn more, we'd love to hear from you. Fill in the form below, call us on 01262 605 650 or email thefarmer@bannistersfarm.co.uk and we'll be in touch.